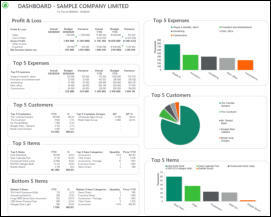 Using Sage Intelligence Reporting we are able to create unique and customised reports in MS Excel by extracting real-time data from Sage Accounting or Business Management Solutions applications and rendering them into permament Microsoft Excel reports. Some of the countries for which our reports have been developed - South Africa, Swaziland, Lesotho, Botswana, Namibia, Angola, Zimbabwe, Zambia, Mozambique, Kenya, Tanzania, Uganda, Cameroon, Nigeria, Ghana, Djibouti, Somaliland, DRC (Democratic Republic of Congo), Dubai, Malawi, Sudan. Our consultants have travelled to a number of these countries. Clubmaster is a 100% SA developed and supported software solution to manage golf clubs. Flexcel has developed automated reports in conjuction with Clubmaster and leading golf clubs for custom monthly balanced reports at the click of a button. (adapted to the local club requirements and reporting layouts).